Here’s what’s happening in the world of television for Tuesday, July 24. All times are Eastern. 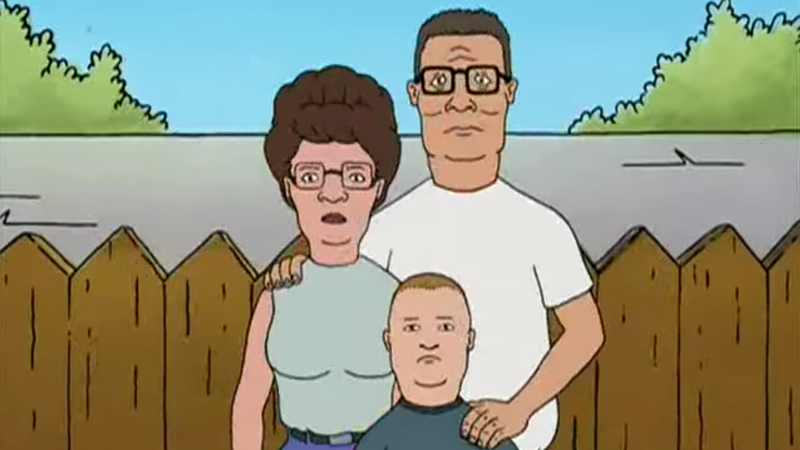 King Of The Hill (Comedy Central, midnight): As of 3:40 this morning, the Hill family of Arlen, Texas, has a new cable ZIP code, pulling up stakes from its longtime Adult Swim home and setting up (propane and propane accessories) shop on Comedy Central. Mike Judge and Greg Daniels’ slice-of-life comedy is one of the more egregious absentees from the streaming wars, which makes these late-night cable broadcasts your most reliable source of “That boy ain’t right”s (barring the generosity of your local network affiliates). So crack open a can of Alamo, stir up some apple brown betty, and prepare to enjoy King Of The Hill from the very beginning. Miz And Mrs (USA, 10 p.m.): An entirely different kind of family show, focusing on people who aren’t cartoons, yet are still more cartoonish than the Hills. WWE superstars The Miz and Maryse star in a six-part docuseries about entering the most challenging bout of their lives: parenthood.